Scott Harter was an average man. He wasn't dumb, but he'd never be invited to join Mensa either. He'd liked to have married a beauty queen, but his average looks certainly did nothing to attract any. Neither did his vanilla personality. No, Scott was average in every way, except when it came to luck. He was a very lucky man. And that's how he managed to discover what the Mayans really meant about the world ending on December 21st, 2012. Scott learned that the Mayans never said the world was going to end that day. What they said was that day marked the beginning of a period that would see the end of civilization as we know it. The Mayans called it "The last period of progress." Scott knew that big changes were coming. The Mayans left several clues about the pending disaster. He just didn't know when. He didn't know if he had two days to prepare, or two years. 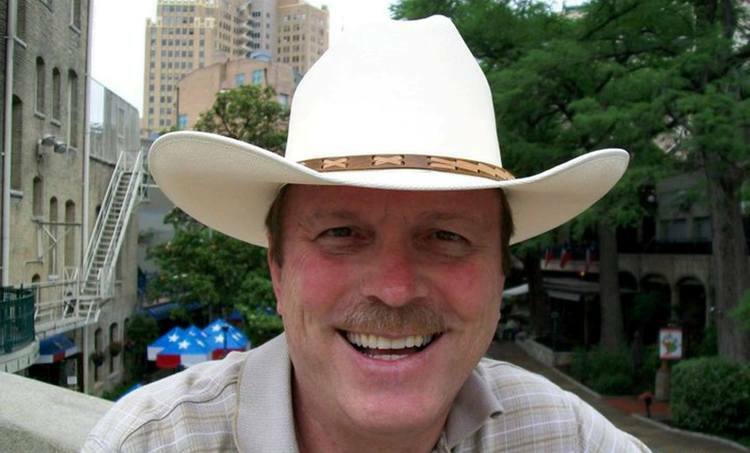 To protect his family, Scott threw every resource he had into preparing for the end. And some resources he didn't have. I'm a huge fan of PAW fiction, so I've read a lot of these series. I'm on the 10th book of this series and skimming most of it. There is not enough action (whether working or suspense, etc.) or dialogue, but tons of filler. The author explains in excruciating detail why someone is the way they are and continues to do it not only in each book, but pretty much each time that character is mentioned. I exaggerate slightly, but not by much. There are very few useful "tips" for a prepper or homesteader. I won''t be reading any more of this author's work. 4.0 out of 5 starsDamn fine book! There some reviewers stuck on this idea it is the authors job to outline the best, most accurate ways to prep. If this was a manual on how to best prep for amargedon then they are right, he made lots of mistakes. I think the job of a work of distopian fiction is to pull the reader in and entertain them. Under my guidelines the author did a fantastic job at that. And, he did it using a multi-perspective narrative I enjoyed. He maybe could have used a little editing or flushing out in different sections, and I did find some grammar and spelling errors and confusing wording. Sometimes it felt like it kept it in chareter of Texas culture though, which I'm not at all trying to put down by saying. I have family down there I love deeply and have much respect for my family and that state. Sometimes my family and other people I have met down there speak in a way I would not, as a Minnesotan sudo intellectual, but I'm sure there are ways I say things or word things that are hella strange to them too. And along the line of culturally themed issues, I found the book to be sort of sexist or at least stereotypically heteronomative sometimes. But, again, like my family in Texas their are cultural aspects to this book I may not totally get that explain that. If nothing else Texas tends to be more rigid when it comes to gender roles then I'm a custom to. So, because, like my family from Texas, I can appreciate and respect cultural differences as long as they don't seem mean or hurtful, and I'm not sure these are, at least not intentionally. But its a thing that I kept thinking about while reading it. On the flip side, the fathers relationship with his sons and ex wife actually seem more caring and empathetic than the average cowboy, so he gets points for writing the main character that way. Looking forward to reading the rest of this series and more of Darrell Maloney's work! 4.0 out of 5 starsAn innocent look at an EMP event. Yet another look at preparation for an Electomagnetic Pulse Event in America. The author has written an interesting investigation of preparation for loss of our electrical infrastructure laced with a family relationship novel. The premise is good as is much of the character development. Technical descriptions are inaccurate in a couple cases. Discussion of EMP effect is not totally correct, in my experience....batteries are not affected by EMP. As with the Carrington Event of the 1800s a solar E MP would cause damage to infrastructure connected to the grid, much like that experienced by lightening. However autos and aircraft are insulated from ground and many would survive an EMP. Further, the author des cusses a transceiver atop the Ham Radio tower. The ham transceiver is located on the ground. The Antenna sits atop the tower. Furthermore, High Frequency Ham Radio can connect around the world by bouncing radio Frequency signals off atmospheric layers, NOT off orbiting Satellites as the author describes. Description of Farraday boxes was good, as was the idea as listed for preparation of the retreat. It was a fun read and I look forward to the next installment. This is the first prepper book I've read that does not tell you about the author. After reading it I know why. 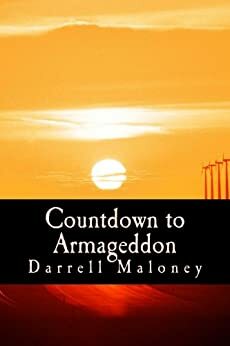 Darrell Maloney is an experienced author but does not appear to have much experience as a prepper. He has broken a basic rule of journalism. RESEARCH. Much of the information on what to do and how situations will unfold is false. Society will not breakdown the same day the EMP hits. (Panic, murders, mass looting ect.) The first 24 hours will be mass confusion. And about 48 hours before people start to realize that help isn't coming. The author goes into great detail on how he prepared his compound and trained his group but did not pen a single word about obtaining weapons or on tactical training. To defend his compound. It is blatantly obvious that the author has no knowledge of firearms. (Glock do not have an external safety) Please stop having the characters switching on and off the safety on his glock pistol. The story is good and I like the fact that the main character is a normal guy. Not some ex special forces super soldier. But the lack of prepper knowledge for a person who is supposed to be a prepper makes this story a little hard to swallow. 5.0 out of 5 stars.. Many women should enjoy reading this series. Hp Hum I thought,, just another story of survival after a sun spot induced EMP wave (predicted by the Mayans some 850 years ago).. It moves very slowly compared with other books of this type which I have read, but this one seems a little more realistic. I am 80% through the second volume and about to order the third, so I guess that in itself says something about the author,, the story line, and how well it caught, and is still keeping my interest. I think even the women would enjoy reading this one. !